Keep up to date with the goings ons of Clara Pathe, Seattle based portrait photographer. In May I had the pleasure of shooting with Audrey and Collin, a brother and sister duo who were so fun to work with! These two contacted me about getting some portraits done as a present to their mom for Mother's Day. So sweet, right? I always say that memories and experiences are the best gifts of all. Mom got in on some of the photos too, which made for some really great photos. There was plenty of goofing around with these two, and they kept the laughs going even though it was a super hot evening. 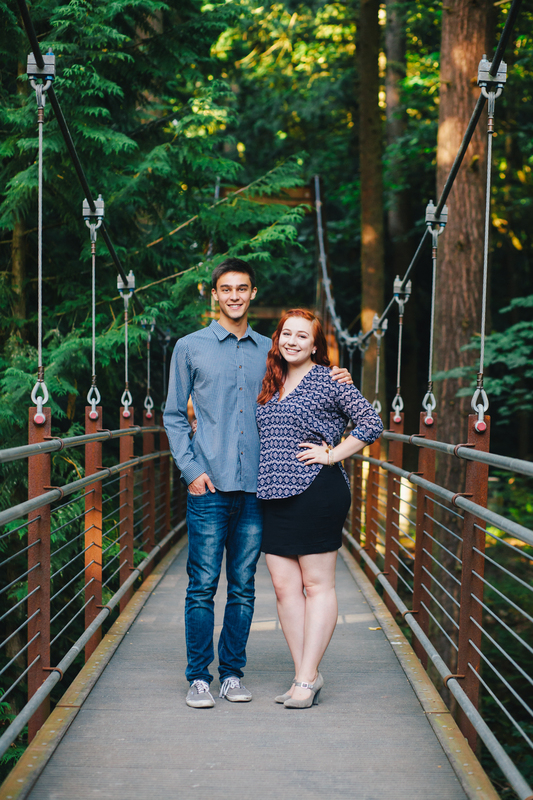 We shot at the Bellevue Botanical Gardens, which is a favorite spot of mine. The perennial garden is always full of color, and the suspension bridge makes for a dramatic backdrop. I'm always looking forward to shooting more sessions here! If I had to pick just one word to describe the Geiger family, it would have to be hilarious... or maybe animated... or perhaps plain old fun. Striking goofy poses and counting "1... 2... 3... YES" to get the perfect smile on everyone's face made this session one of my most memorable and enjoyable. I shot with the Geigers on December 24th (Christmas eve! ), as the session was a gift from the kids to mom. So sweet and thoughtful, right? We really lucked out with the weather, as most of you know that in Seattle, the winter forecast is pretty much rain, rain, and more rain. But somehow we managed to catch a break and have a chilly, but rainless session. I'm looking forward to even more family sessions in 2015! They're so much fun, and so wonderful for making and capturing memories.